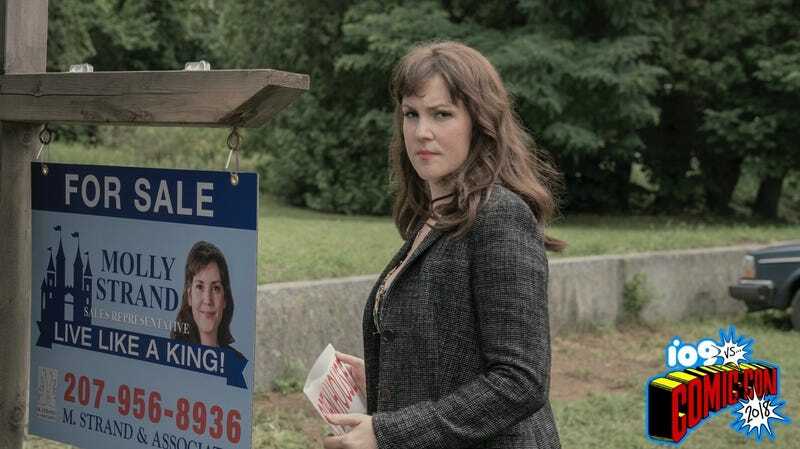 Melanie Lynskey stars as troubled real estate agent Molly Strand. We all know the big names behind Hulu’s Castle Rock—Stephen King, J.J. Abrams—but at Comic-Con, we got a chance to talk to its co-creators, Sam Shaw and Dustin Thomason. Of course, they couldn’t reveal too many secrets, but we did learn more about what to expect from the new series. No pancakes for Henry Deaver (André Holland). Scott Glenn as Alan Pangborn, a character that figures prominently in The Dark Half and other King stories. Castle Rock begins July 25 on Hulu. You can check out our review of the first episode here. Hey, Did You Notice io9 Is at Comic-Con?